We have been eating a lot of mushrooms lately as a substitution for meat. We paired these mushrooms with homemade butternut squash soup. Deliciousness all around. Heat oven to 400 degrees. Lightly oil a rimmed baking sheet and arrange mushrooms, gill side up. 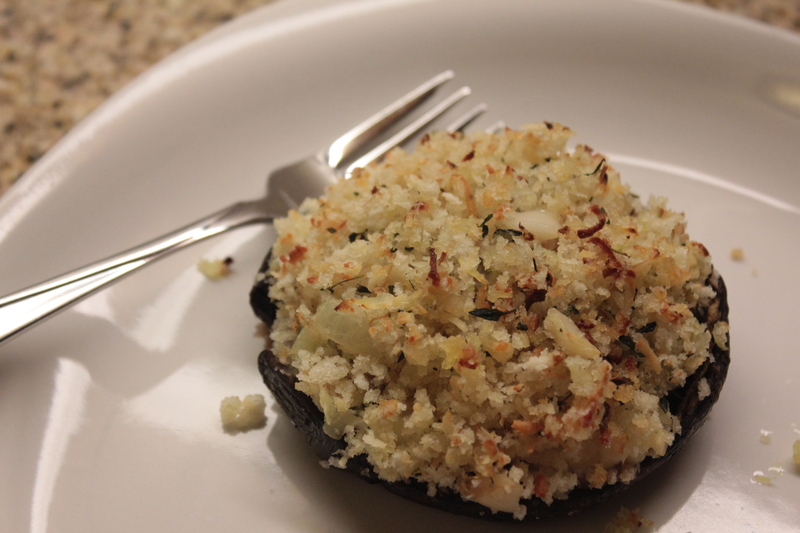 Add 2 tablespoons ricotta cheese to each mushroom cap, filling completely. In a small bowl combine butter, bread crumbs, rosemary, thyme and salt. Top each mushroom cap with mixture. Sprinkle with Parmesan cheese. Bake in oven for 15-18 minutes, or until bread crumbs begin to brown.